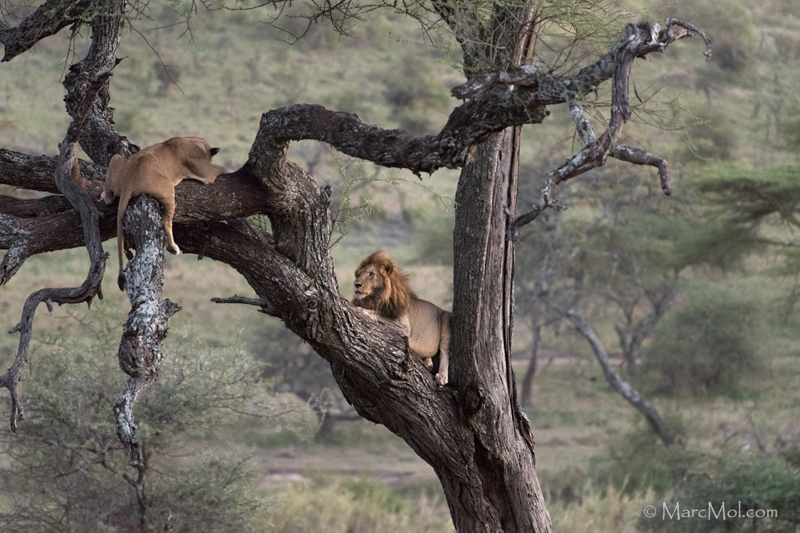 To see such a large pride male this high up was a rare treat, a pity this female didn't treat him! Juliet just kept on snoozing! My best flat tyre sighting by a country mile! Brilliant sighting, Marc. I've seen the females and younger males quite high up in trees, but never a mature, maned male like this one. I must say she looks a lot more relaxed and chilled about their lofty perch than he does. What a treat! Wonderful sighting and story! As Carol mentions, he does look rather uncomfortable. Very cool comp and image Marc! Great image of such usual behavior. I hope neither one decided to finish the play the way Shakespeare wrote it. Special sighting and image for sure!